Flood victims take refuge on a roof in the aftermath of Cyclone Idai in Beira, Mozambique. 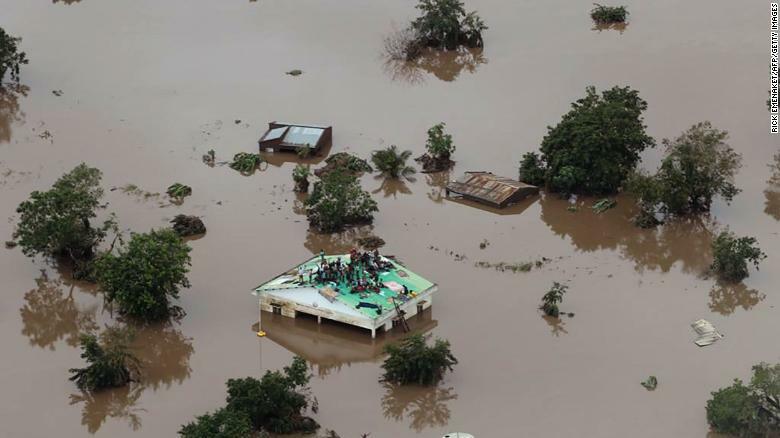 (CNN) Thousands of people are missing after a powerful cyclone hit Mozambique on March 14. Government officials fear more than 1,000 people may have been killed. The wind, rain and swollen rivers have destroyed homes, schools and hospitals in Mozambique, neighboring Zimbabwe and Malawi. In some places, entire villages have been wiped out — with up to half the victims being children. Survivors are in need of shelter, food, clean water and sanitation. You can help support aid organizations who are on the ground providing relief by clicking the “Take Action” button above or by going directly to the Public Good campaign here.